Amongst the faded denim and the tired looking mohicans, a new breed of pale-faced malcontent was transfiguring the clientele of the early-80’s UK student union. Their necks were craned, but they seemed taller, their hair stacked up in a wild black pile. The uniformity of their appearance was sealed by the mandatory Bauhaus t-shirt. These children of the night were early ‘goths’. 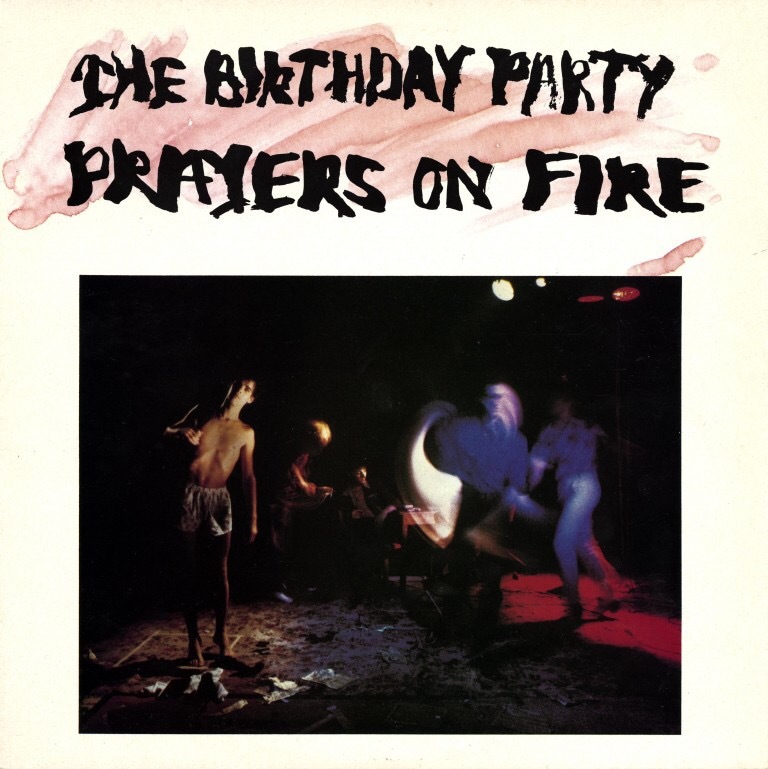 Their newest darlings, The Birthday Party, had just arrived from the other side of the globe and with their pulverising sound were aiming to shake the earth off its very axis. Australia did not have a particularly well-established rock scene before 1977, but in Sydney the touch paper had been lit by Radio Birdman, while Brisbane boasted a burgeoning punk scene led by The Saints. On the Southern coast, the family trees of Melbourne’s Young Charlatans and The Boys Next Door (who should have been sued under the terms of the Trades Description Act for their deceptively innocuous moniker) would soon become intertwined through the defection of guitarist Rowland S Howard from the former to the latter. Providence would reveal the polar aspects of her nature to the two bands. The Young Charlatans’ 15 minutes of fame had fizzled out, their brief brush with immortality over. By contrast, for the Boys Next Door, their time had most surely arrived. Howard was a highly original guitarist (equal parts Will Sergeant, John Waddington and Zoot Horn Rollo) with a penchant for dark, deathly blues music and a singular ear for howling feedback (he strove to make his guitar “sound like bee stings”). His influence was integral in reshaping the direction the band would take. The song he brought with him, ‘Shivers’, gave new impetus to this group of disaffected former public schoolboys (consisting of singer/lyricist Nick Cave, bassist Tracey Pew, guitarist/keyboard player Mick Harvey and drummer Phil Calvert), whose punishing gig schedule harnessed for them a reputation for notoriety in their homeland. They released an album (‘Door Door’) which they later disowned, but the lure of finding a wider audience for their music proved irresistible and the band soon packed their bags and moved to London in 1980. They renamed themselves The Birthday Party and, perhaps brutalised (or at least alienated) by their experience of living in virtual squalor in London, were possessed of a seemingly insatiable urge to inject a nightmarish violence and sense of the macabre into their live repertoire, their chaotic performances always on the verge of imploding. Having resolved never again to use a record producer following ‘Door Door’, the band began work themselves on ‘Prayers On Fire’. Once again however, they would be less than happy with the results, and it is an album which is consistently overlooked in favour of its follow up ‘Junkyard’, which, while certainly more representative of the classic Birthday Party sound, lacks I fear, it’s predecessor’s unfettered explosion of ideas. Here, on ‘Prayers On Fire’ is a band seeking an authentic voice of their own. Sometimes the journey, the adventure undertaken in getting to the destination is far more thrilling than the destination itself. We can hear the evolution of their sound unfolding on the album. Virtually the entire second side side prefigures the creeping cobwebbed claustrophobia of Junkyard – with the exception of ‘Dull Day’, which rather bizarrely, reminds me of Madness (?) – there is a sepulchral bone-crushing intensity with little variety in tempo. The first side by contrast displays the full range of their armoury. It’s opening track, ‘Zoo Music Girl’, sounds as if the starting gun to the village idiots’ 100 metres dash has gone off prematurely – to the participants, the lanes on the track are there not to maintain order, but to hurdle, vault or if at all possible, ignore completely. Pew pulses his bass into paroxysms, while each demented line Cave expels (“My body is a monster driven insane/My heart is a fish toasted by flames…”), collapses on top of the preceding one. Perhaps a little embarrassed by some of the lyrical extremities (“Oh God! Please let me die beneath her fists”), Cave later disowned this as well, but with its mariachi trumpet blaring as if the carnival has arrived in the middle of a riot, it is a fitting calling card to the album. Listeners can sometimes confuse the person impersonating a character in a song for the person singing it. With Nick Cave this could be a dangerous business. Consider for instance the charmingly entitled ‘Nick The Stripper’ (“Nick The Stripper/A-hideous to the eye/Well he’s a fat little insect/A fat little insect…he’s in his birthday suit…”) His fascination with the grotesque and with creeping invertebrates is further explored on ‘King Ink’ (“King Ink feels like a bug/Swimming in a soup-bowl”) which is a musical prelude to ‘Junkyard’ and (apparently) the song from the album with which Cave was most pleased. The final track ‘Just You & Me’ encapsulates the surreal dementia of Cave’s writing – as a youthful devotee it created much mirth in our household as we struggled to imagine what the subject of the song could be (“First: I tried to kill it with a hammer/Thought that I could lose the head/Sure! We’ve eaten off the silver/When even food was against us...”) We detected the darkest humour, though we may not have properly understood it. Those other goths always seemed such a humourless bunch. Along with The Banshees they may have unwittingly spawned the whole God-forsaken subculture, but The Birthday Party had drawn their inspiration as much from the classical rock’n’roll lineage of The Stooges, The New York Dolls and Captain Beefheart as from the horror movies and gothic literature over which their ravenous disciples obsessed. Of their contemporaries, there were some genuine kindred spirits: the scratchy energy of The Pop Group, the trash aesthetic of The Gun Club and The Cramps and The Fall’s grimy rockabilly. But not Bauhaus. By contrast to The Birthday Party, Bauhaus are as significant as a bubble on the surface of the ocean. Thanks Rob – I was not as fortunate as you – did manage to see The Bad Seeds a few times but never the BP, whom you rightly compare to The Stooges for impact. epic. The Goths could never make a sound so twisted and alive. I saw them onstage, and they were superb.